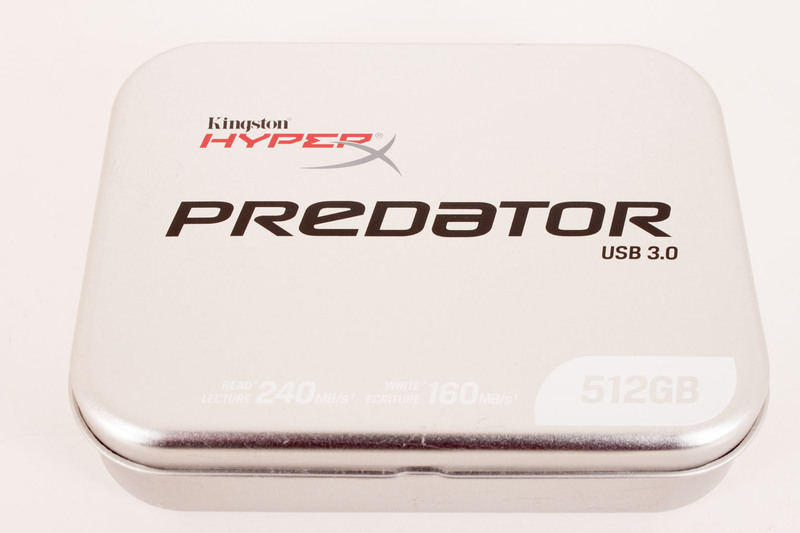 Kingston knew that the Predator is a product that will appeal to enthusiasts and professionals, they made the packaging to match that style. 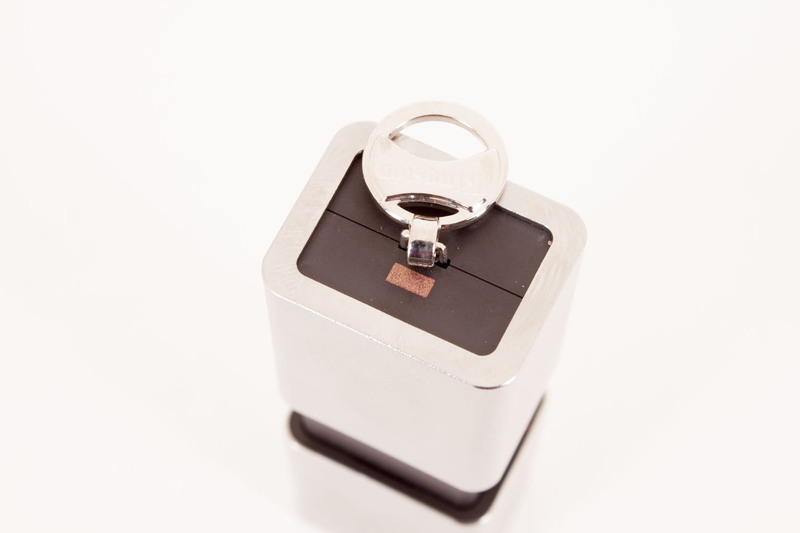 Instead of a small cardboard box you get a metal container that clearly tells you what is inside. Flipping open the lid you can see everything laid out for you in a thick foam insert. It is packaged well enough that you could use this case to keep your predator in for future transport. 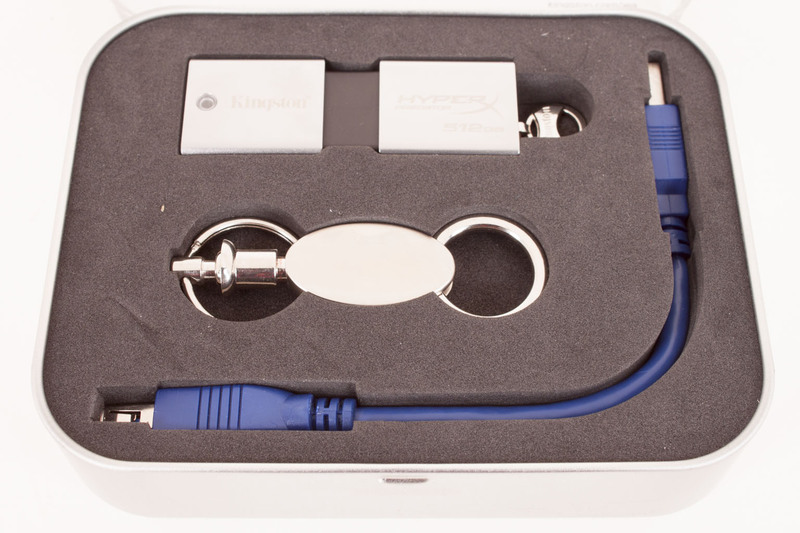 Kingston has also throw in a pretty sturdy key ring and a USB 3.0 extension cable. The key ring is nice touch as it allows you to disconnect your keys from the Predator easily. The Predator is a very thick device and it does not line up on the lower profile devices (including our Chronos 7-Series Notebook). The extension cable takes care of this quite nicely. It also helps make sure that your predator does not block other USB 3.0 port on your notebook if they are placed close together. After you finish admiring the goodies that Kingston puts in the kit we can move onto the drive itself. Considering that there is 512GB of flash memory and a USB 3.0 controller inside the Predator is understandably big. 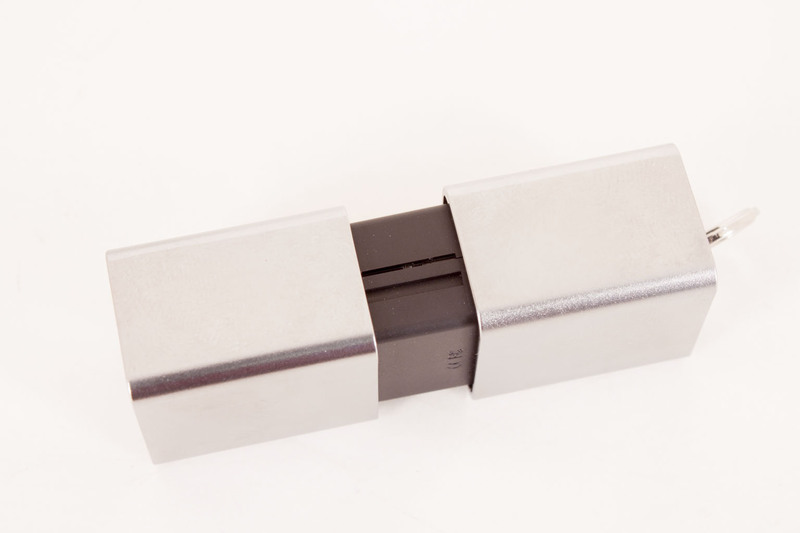 It measures 2.8346 x 1.0606 x 0.8268 inches and is also heavier than most thumbdrives. It has an outer shell of metal and an inner one of plastic. On the “top” of the Predator there is a blue LED to indication activity. 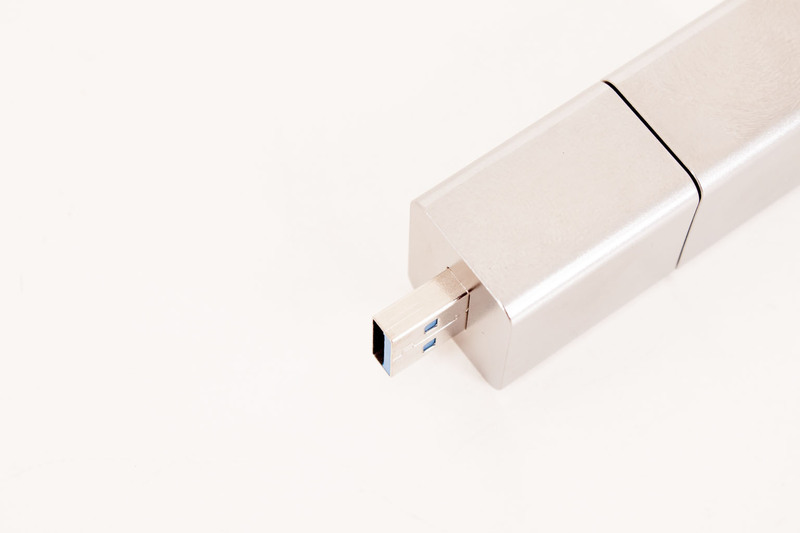 The two large ends slide together to allow access to the USB 3.0 plug. 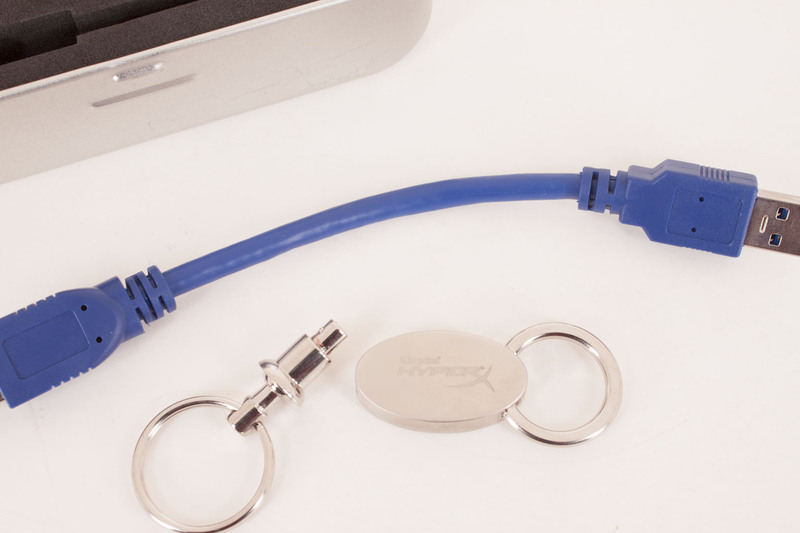 On the opposite end of the plug there is a swiveling ring that you can use to connect to a chain or the included key ring. Now typically we would take these apart, but Kingston has asked use very nicely not to do that this time. The main reason is that this is a loaner unit so there are more people that are going to get to play with this after we are done with it. So unfortunately that is all there is about the Predator for now, but as soon as we can get one of these on a more permanent basis we will be taking it apart to see what there is inside. So what kind of performance can you expect from a 512GB USB 3.0 drive? Sure it would be great for storage, but can it be used to do real-time work. This is one of the questions that many people are going to have about a product like the Predator. Is it just a gimmick or does it have a real application. This is what we wanted to know as well, so we looked for a few applications that would help us to answer this. We chose VMware Workstation, Adobe Premier CS6, and After Effects. All three of these can have heavy read/write needs and also require large areas to work in. If you are trying to run them on a smaller SSD you can run out of room very fast. 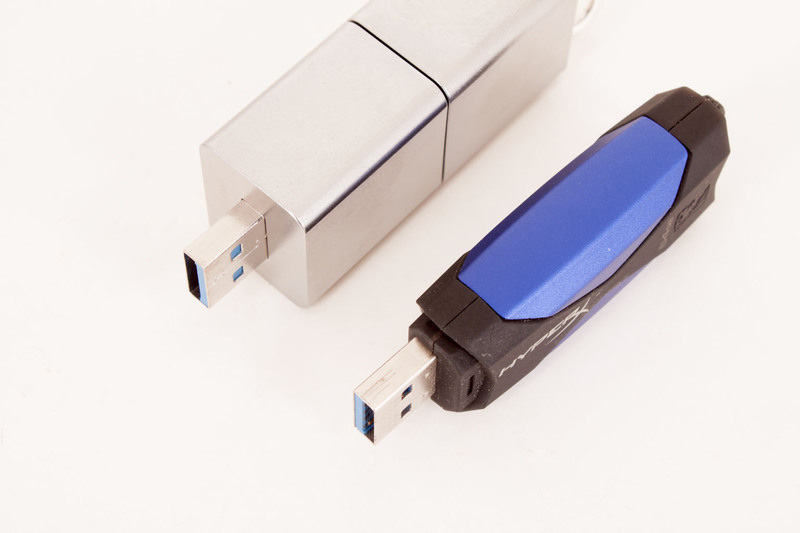 This makes any large capacity USB 3.0 drive very attractive as long as you can maintain good speed. So with these in hand and the regular array of benchmarks (PCMark 7, HDTune, and Sisoft SANDRA 2013) we will find out just how well this works on our Samsung Series 7 Chronos Laptop. Our stock render times from a AHVC file were less than what we expected given that the Predator has a high I/O and read/write rating. When the Predator is compared to an SSD we see a delta of about 6 minutes. If we compare that same SSD to a USB 2.0 drive or an external HDD things fall off quite quickly with the USB 2.0 driver increasing the gap to 10 minutes and the HDD to almost 15! 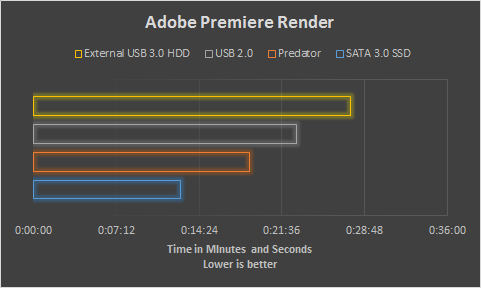 If you are going to use the Predator for this type of work we would recommend reformatting it as NTFS so that you can pick up a few more seconds on your rendering times. We saw a similar result when we put the Predator to work for After Effects. 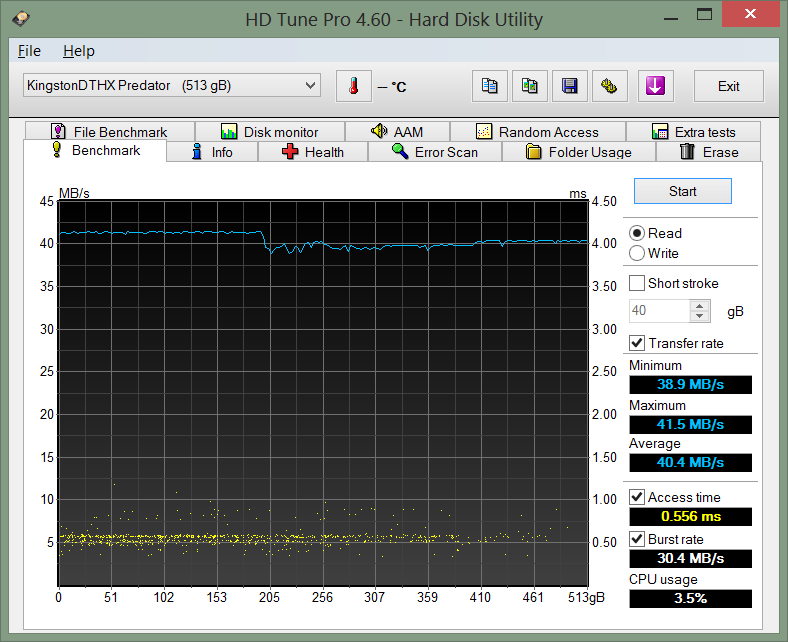 Kingston’s massive USB 3.0 drive does a good job at keeping up, but it is not as good as an internal drive. Still it does considerably better than other options including direct attached multi-drive RAID arrays using traditional platter media. Here is a place where the Predator does not lose ground. In the virtual world the differences between an SSD and an external USB 3.0 drive are not as prevalent and performance is right around the same level. 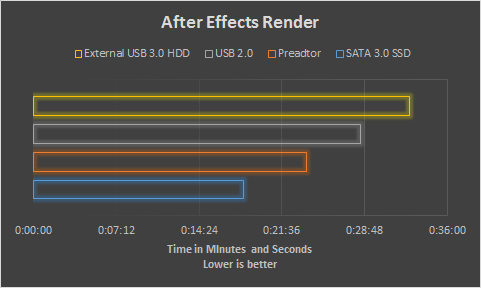 The Predator does noticeably outperform USB 2.0 drives and also external HDDs regardless of their connection. VMware workstation is a good option for people running Windows 8 that might want to maintain a Windows 7 VM around (for those applications that do not work under Windows 8 yet). 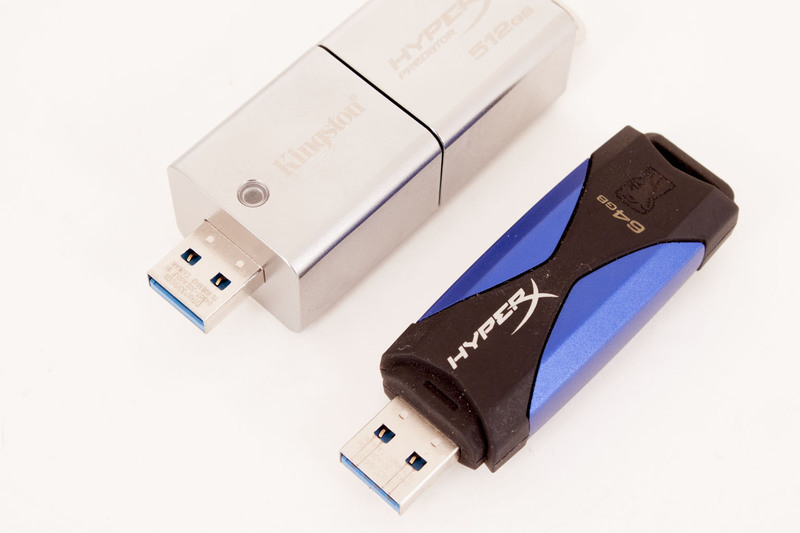 In your more typical benchmarks the Kingston Predator does a nice job of keeping up even when compared to the fastest USB 3.0 drive we have in the Lab the 64GB Kingston HyperX. You can see the result from PCMark 7, HDTune and Sisoft SANDA 2013 below. Pretty impressive if you think about it. At $954 the predator could have priced itself right out of the market. Although it is quick and can certainly meet a few needs its cost is far beyond what it should be even for what it is. At $900 you can almost buy 2 512GB SSDs and can even buy a 960GB SSD with some money left over for a good memory upgrade. This is pretty sad considering this is product should be marketed as an accessory and not a primary product. We do know that the technology behind the Predator is expensive and this is what is keeping the price on the Predator high and will also keep it out of the hand of consumers. 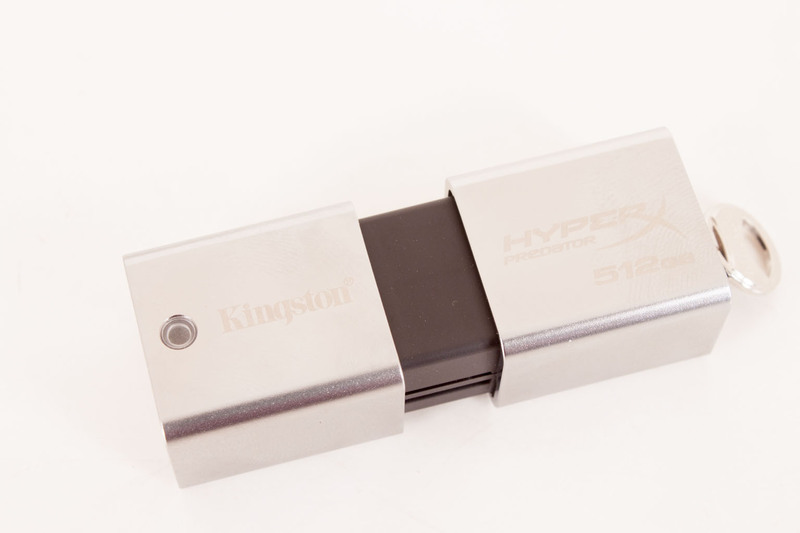 Kingston’s 512GB Predator USB 3.0 drive is a well designed and built product. It has solid performance and does fit into a certain niche that needs storage and speed. Unfortunately, the $900 price tag is going to prevent many from picking this up. There are less expensive alternatives including purchasing larger capacity SATA 3.0 SSDs which can replace internal drives. We wish that we could say something different about the Predator, but we can’t until the price comes down to something more reasonable. Kingston is sure to have a plan for bringing down the cost of these especially considering that they are looking to release a 1TB version soon. For what it is worth the Predator does perform well and we can see a place for it the mobile professional’s bag one the prices do stabilize, just not right now.